Know who else loves to be on the move in the spring time? Fleas, ticks and mosquitoes! Problem is, their favorite vacation spot is your pet…and you, if they get close enough. These pests are more than just annoying: fleas can transmit tapeworm and cause anemia, while ticks are well-known carriers of many diseases, including Lyme disease. Once they’re on your furry friend, it’s a short trip aboard the “pet express” to your home and family. As you may know, it only takes one mosquito bite to infect an animal with heartworm, which can be fatal. Treatment is not only expensive, but hard on your pet. That’s why keeping your animal companions on year-round flea, tick and heartworm preventive is so important. 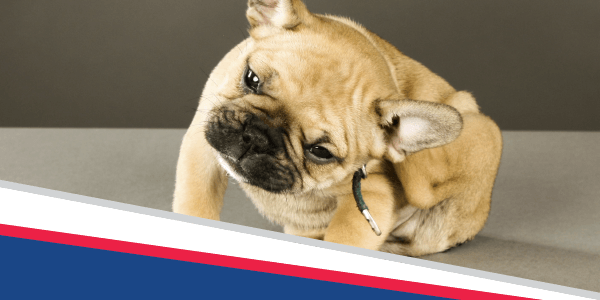 We carry a variety of products to stop these parasites, and Dr. Bell can recommend which one is best for your pet and your budget. If you have questions about parasite prevention or want to get your pet in for a consultation, schedule an appointment online or call us at 205-709-8286.